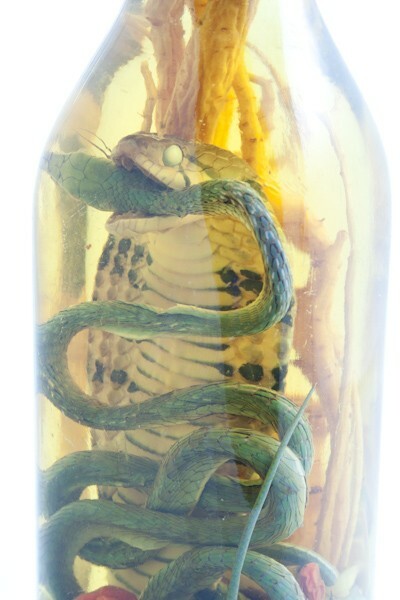 The Snake Wine bottle is 10 inches (25 cm) tall, and features 2 real snakes, 1 real Cobra snake and 1 real Green tree snake Trimeresurus gramineus as you can see on the photo. 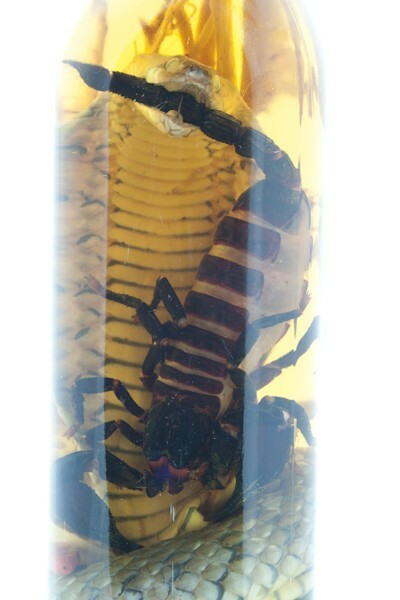 The Scorpion Wine bottle is 10 inches (25 cm) tall, and features 1 real Cobra snake and 1 real scorpion as you can see on the photo. 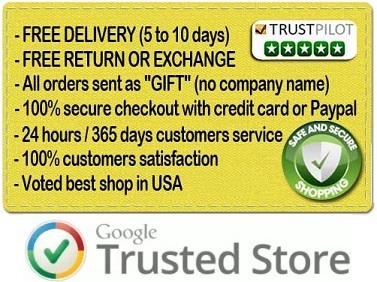 All our parcels are sent as gifts, no import duty has to be paid by our customers. 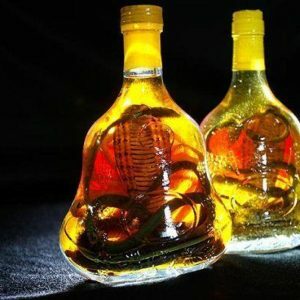 The Snake Wine is a liquor and an authentic beverage from Vietnam, a rice wine bottle in which can be found a real Cobra Snake from our farm in Vietnam, and a smaller green snake Trimeresurus gramineus. 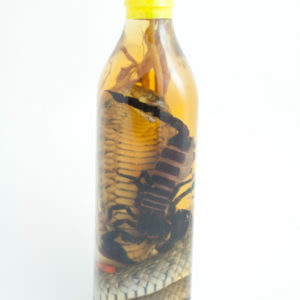 The Scorpion wine is a rice wine bottle in which can be found a real Cobra snake from our farm in Vietnam, and a real scorpion. 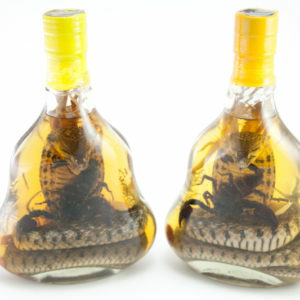 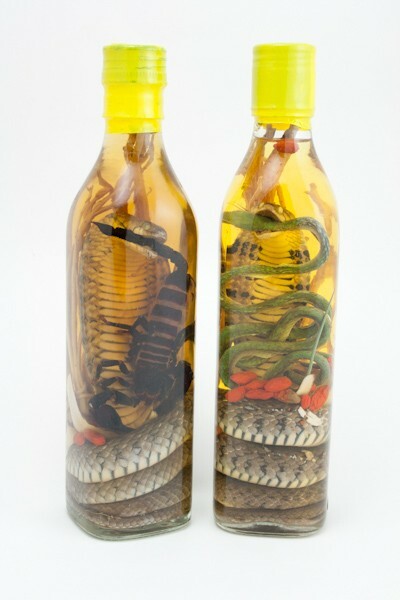 These incredible gifts will impress your friends and family members because our authentic Snake wine and Scorpion wine are not only delicious rice alcohols but these beverages found only in some Asian countries are also known as natural medicine used to treat different health problems such as back pain, rheumatism, lumbago, and others health condition or pain. 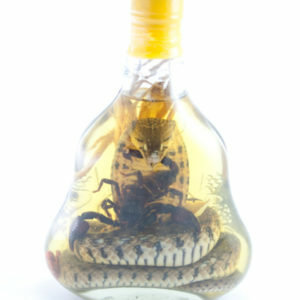 These rice liquors are also considered as a strong natural aphrodisiac.